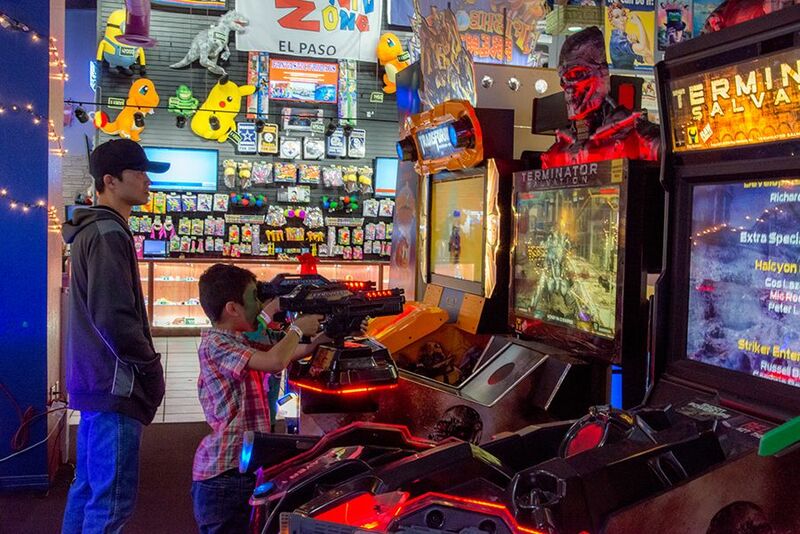 AT AZ 2.0 you will find a new state of the art card reader system, which means no more tokens, no more tickets. 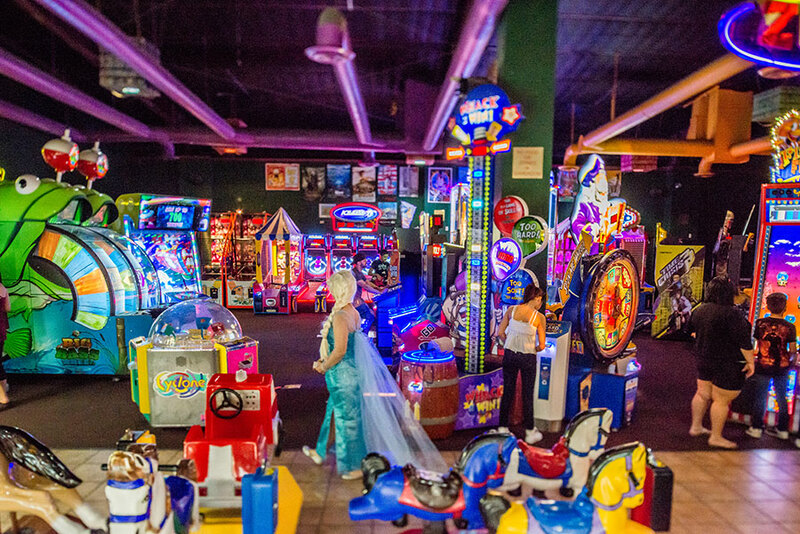 Our arcade is bigger and better. 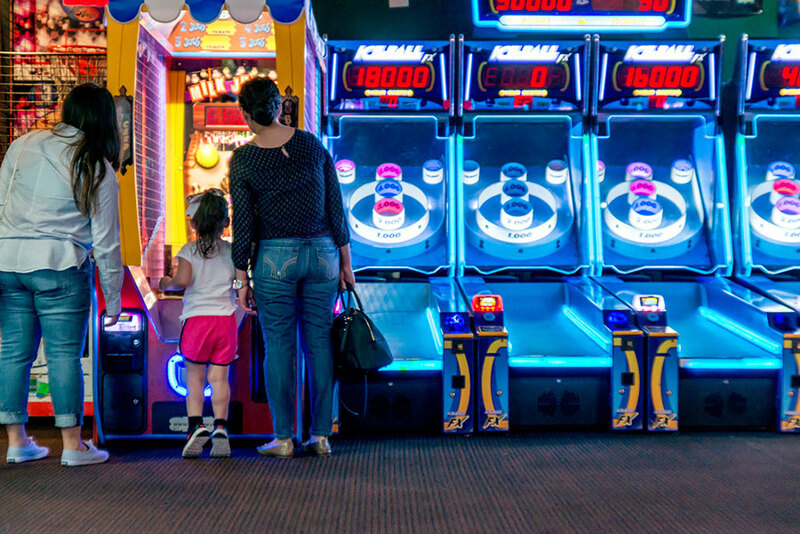 Just grab a funpass, load it up, and swipe, play, and win. This is the only place on the westside that has this new system and only the second in town. 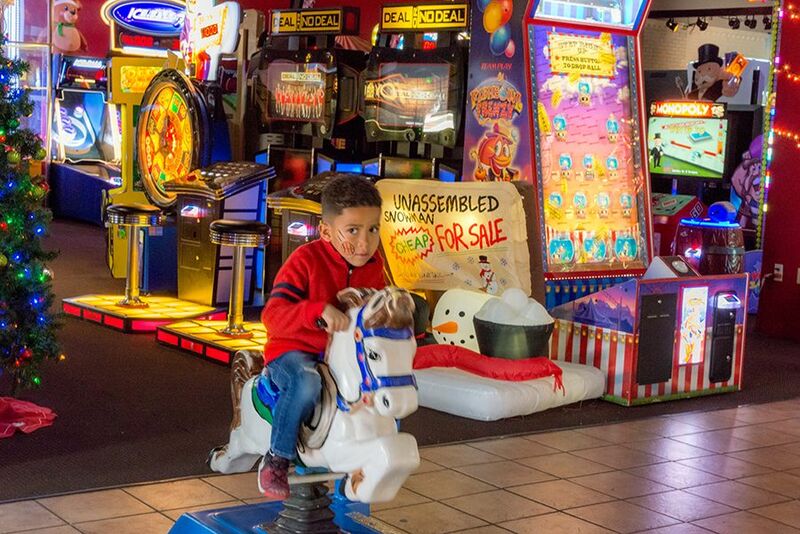 There’s new games, more games, and we’ve even got a 6 person Western Shootout Shooting Gallery, where you can make hats fly, roosters crow, even bubbles, if you know which target to shoot. 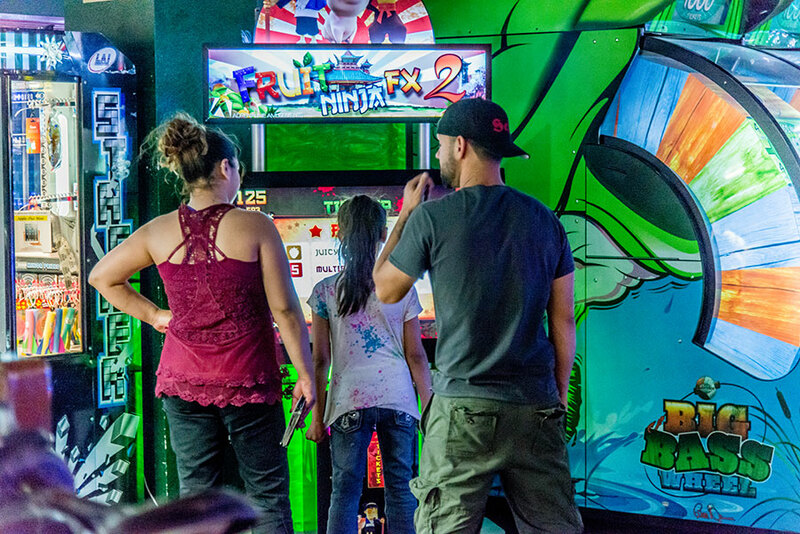 Top it of with a 20 foot high wall of prizes and you’ll find the AZ 2.0 Game Zone is truly El Paso’s 21st Century arcade. 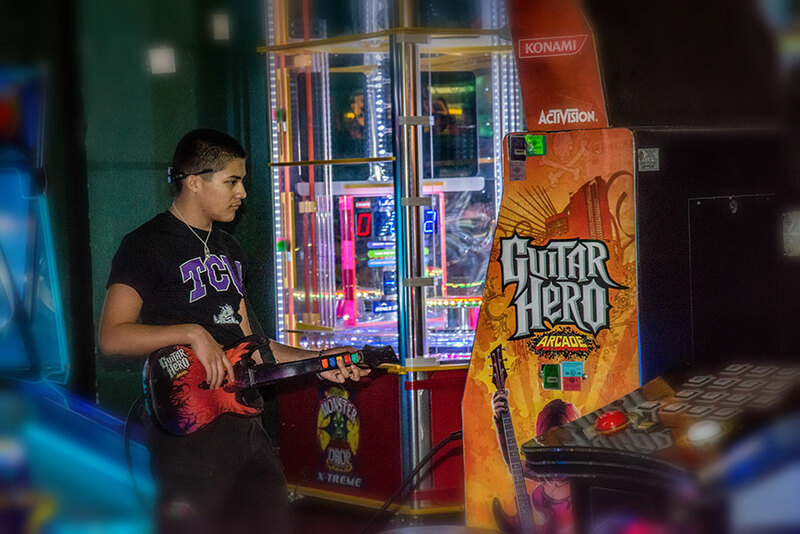 Adventure Zone offers fun for the whole family, the latest state of the art video games and redemption games along with the largest redemption prize wall in El Paso. 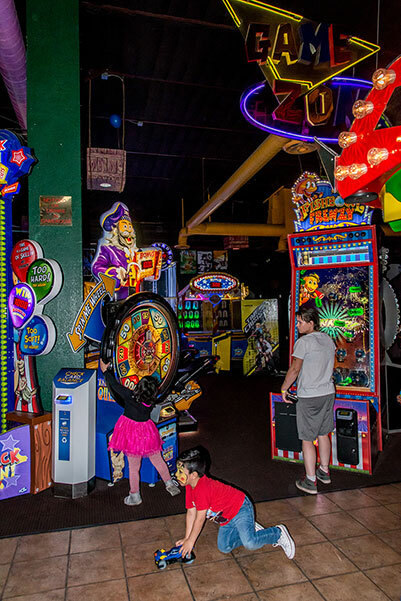 Adventure Zone still has some classics like the Down the Clown, Milk Jug Toss, Skeeball/Iceball and more. 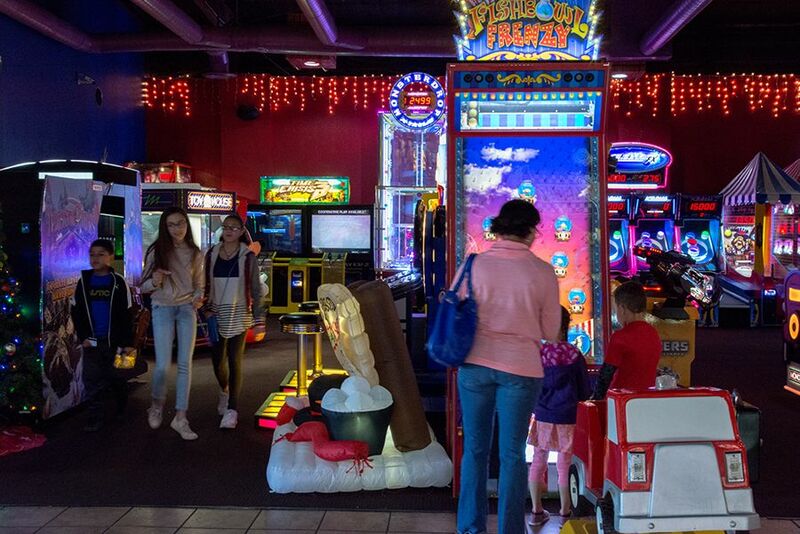 We recently upgraded our game room with new games such as Transformers, Terminator Salvation, Monster Drop Extreme, Big Bass Wheel, SuperBikes 2, Monopoly Interactive Video, Wheel of Fortune (just like on TV) and more. 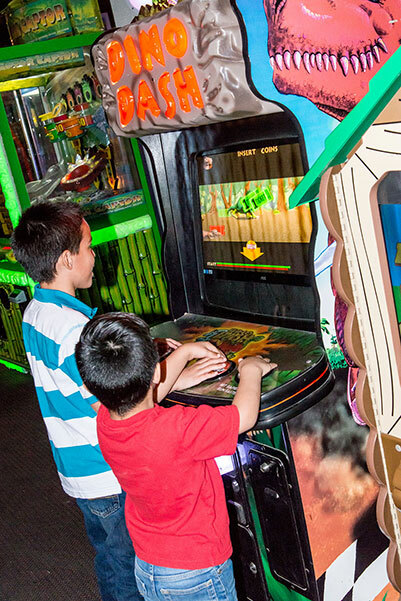 Come into the Game Zone and play a large variety of video game favorites. 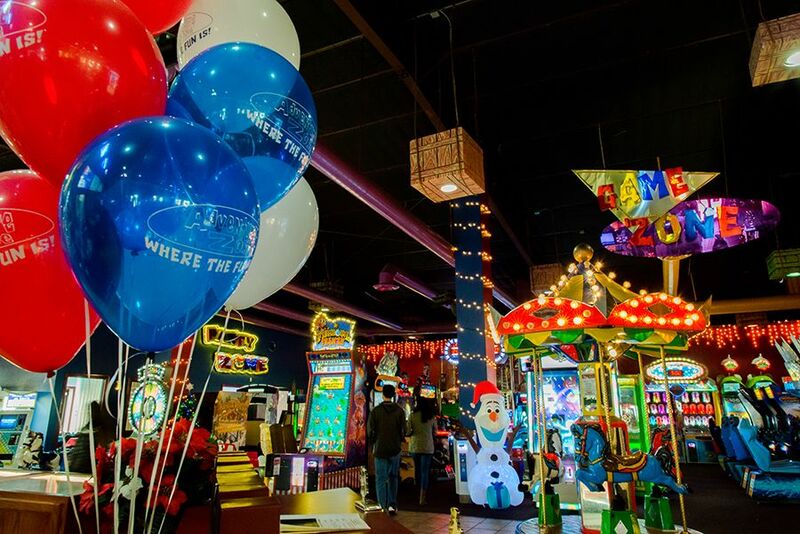 As is a tradition, you can play redemption games for tickets that can be exchanged for prizes… So the fun never ends! 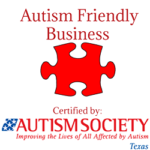 We now have “E-Tickets” that go directly on your Fun cards. Test yourself to see if you can win a cool licensed plush item. 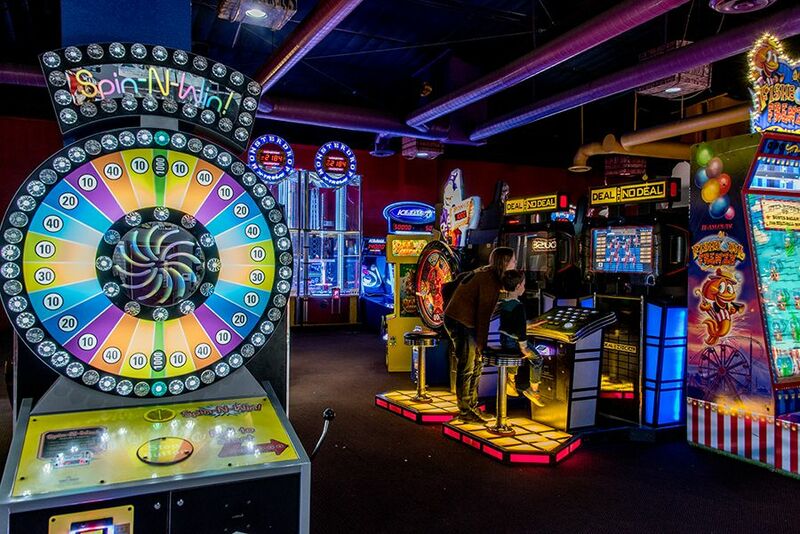 Can you land on the jackpot? Incredible realistic game, can you make it in the fishbowl? A classic fun game, but you need to be quick. Just like the TV show. Can you run faster than a dinosaur? See how many apples you can make your bear catch. 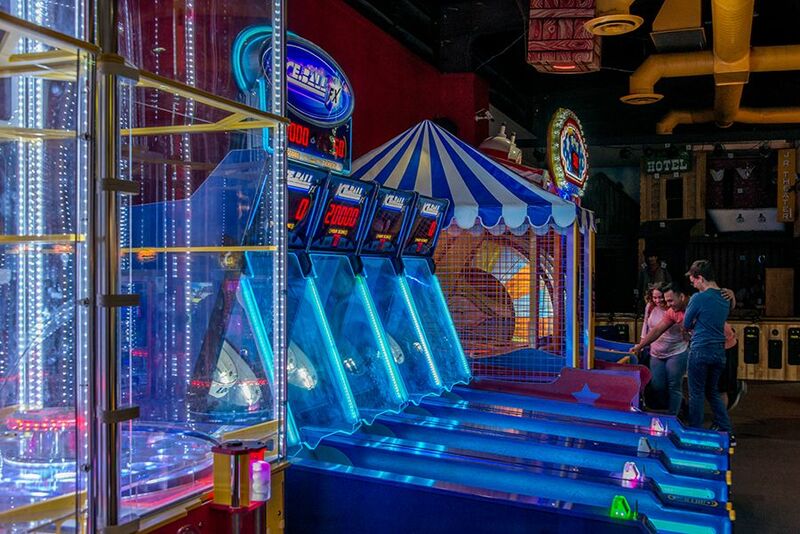 A brand new classic, toss your ball into a milk jug for e-tickets. 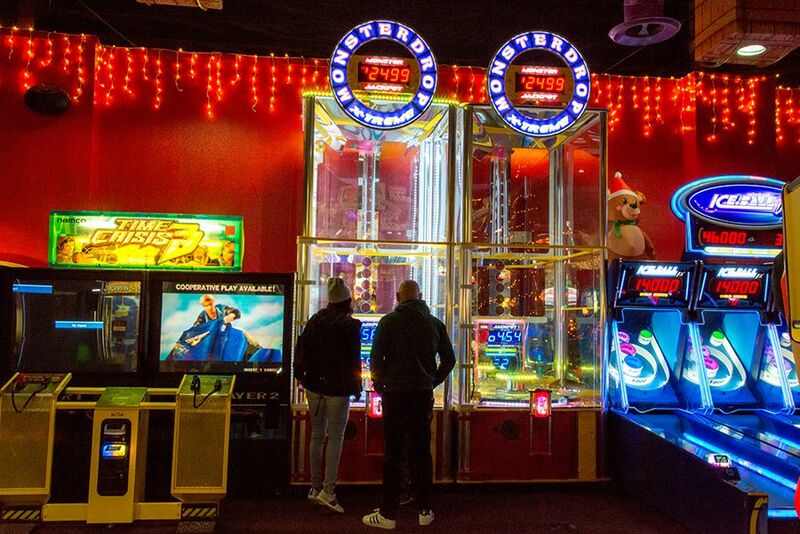 Play the real game on the moniter, win up to 400 e-tickets. Come on mate, spin the wheel to see how much treasure you win. Bright neon Dinosaur game, how many e-tickets will you win? Help the Space Monkey and win a lot of e-tickets. 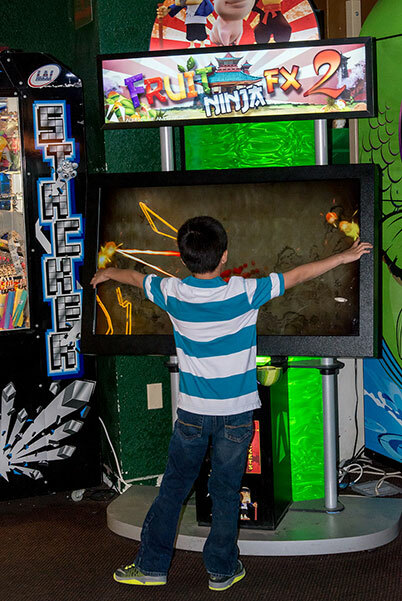 We have 4 of the newest version of Skeeballs, with LED lighting. For the smaller one’s, try your basketball skills. 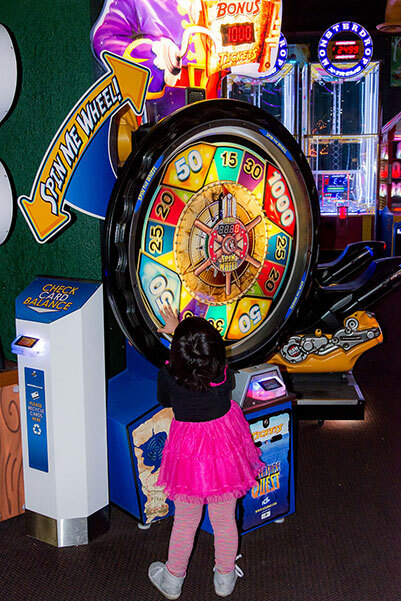 Pull the arm, spin the wheel for e-tickets. Just like the TV Show, can you figure out the puzzle? 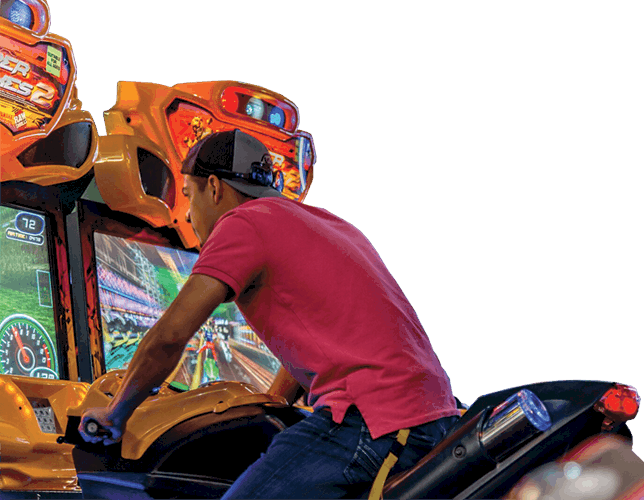 The latest driving game that takes a photo of you and your challenger. How good are you on the guitar with classic songs? 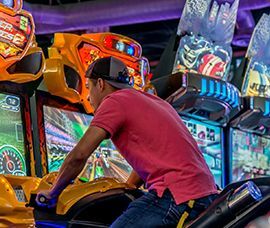 Challenge your friends to a race through Las Vegas on these SuperBikes. By far, the coolest new game. Megatron, Bumble Bee, all are here. 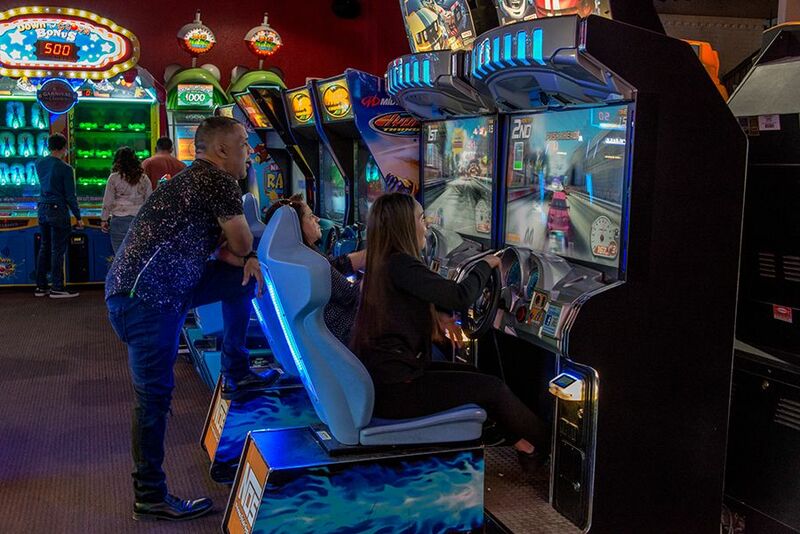 All kids love driving this game.